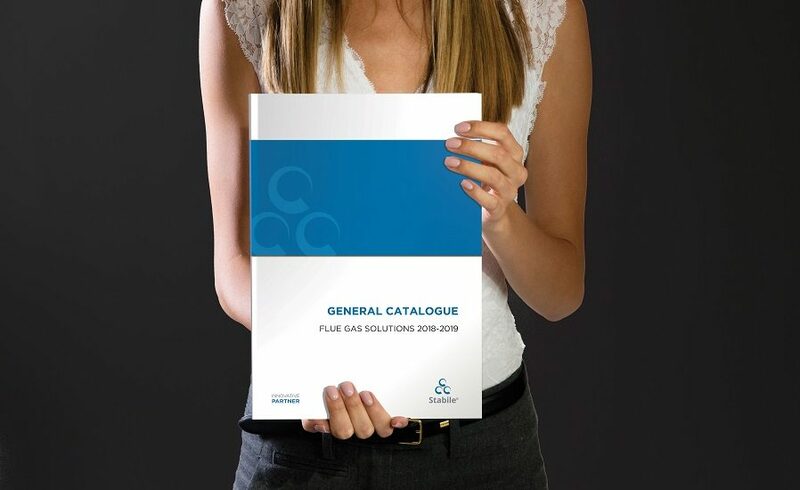 Stabile S.p.A. is pleased to present you the new GENERAL CATALOGUE 2018·2019 that will be valid from September 1 2018. We present a completely renewed catalogue, starting from the cover where the colors and the graphic layout are aligned with the style of our Group and with a lot of news inside. First, the new HPPD system is designed to make connecting flue pipes and chimney systems for generating sets and co-generators where a high resistance to temperatures (T600°) and pressures (H1 – 5000 Pascal). We have carried out a new MICRO FIRESTOP roof crossing system that ensures a minimum encumbrance, maximum safety in the event of soot fire and that can be installed directly in touch with combustible materials, being certified in G-ZERO class. Moreover, we extended our flue system range for condensing boilers through new products and through the introduction of dia. 50.